Reading gets to the Red Sox prospect early in an 8-1 win over Portland. Two years ago, Tanner Houck was scheduled to pitch against David Parkinson in a Southeastern Conference game in Oxford, Mississippi. But Parkinson, who played for Mississippi, was scratched with a stomach flu. Houck, the touted ace from Missouri, lost a 3-1 game. 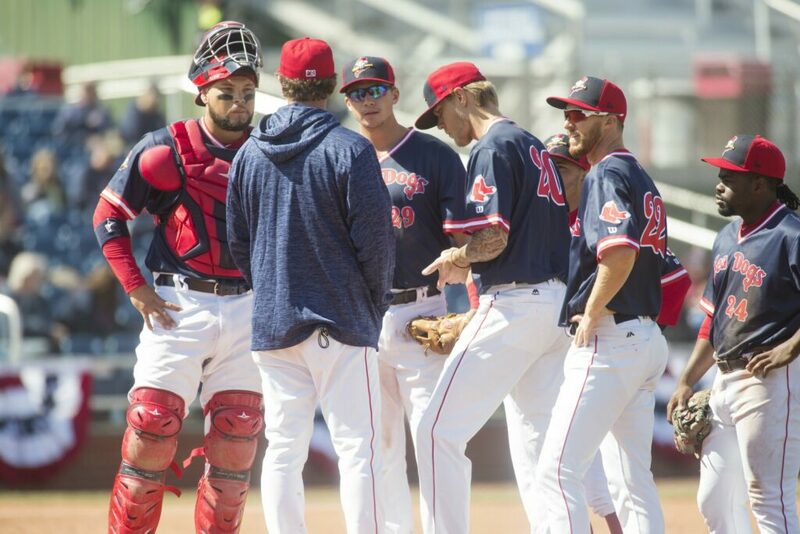 On a sunny and chilly Saturday at Hadlock Field, the two finally met, both in their Double-A debuts. Parkinson was sharp, Houck not so much as the Reading Fightin Phils beat the Portland Sea Dogs, 8-1. The loss was the third straight to open the year for the Sea Dogs, who have had one winning season since 2008. 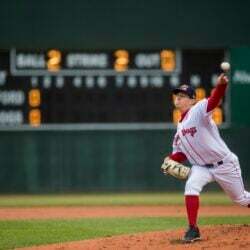 Houck, 22, the Red Sox first-round draft pick in 2017, allowed seven runs on 11 hits and three walks. He struck out three. Houck had it snowball in the fourth, allowing six hits – five of them consecutively – in a four-run inning. Of his 87 pitches, he threw 52 strikes. Parkinson, meanwhile, picked up where he left off last year, when he recorded the lowest ERA (1.45) in the minor leagues. Parkinson, a left-hander with a high 80s fastball and a solid secondary mix, gave up one run on one hit and three walks over five innings. He struck out 10. Not a bad outing for someone who began his college career at Florence (South Carolina) Darlington Technical College. Parkinson, 23, transferred to Mississippi after one season. Two years later the Phillies drafted him in the 12th round. In his first full season, in 2018, Parkinson dominated in Class A (141 strikeouts, 124 innings). He was dealing Saturday. Portland’s only run came in the third. 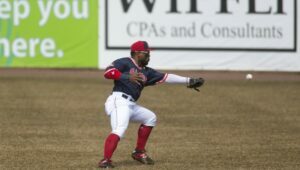 Aneury Tavarez hit a bloop double, reached third base on a wild pitch and scored on C.J. Chatham’s sacrifice fly. “He bounced some breaking balls and we chased. 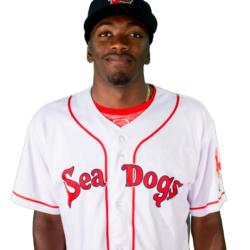 He elevated some fastballs and we chased,” Sea Dogs Manager Joe Oliver said. “He gave us good deception. But why throw strikes when we’re swinging at balls? Houck came out using all three of his pitches – a 94-96 mph fastball, slider and change-up. He walked two batters in the first inning but escaped. In the second, Houck seemed unlucky after a ground-ball double, bloop single (misplayed by Tavarez in right) and an infield single. But one run (allowed) became three after two more hard-hit singles. After a scoreless third, Houck began the fourth with a strikeout. But it went downhill fast, and, soon the Sea Dogs trailed 7-1. “Just seemed like he was working behind in the count too much and started (aiming) a little bit,” Oliver said. The Sea Dogs used three relievers. Daniel McGrath (two innings) and Adam Lau (2 1/3) turned in scoreless outings. Zach Schellenger began the seventh with two strikeouts, then allowed a single and three walks. Lau struck out four. NOTES: Darwinzon Hernandez, a top Red Sox prospect, will make his first Double-A start Sunday. He relieved in five games last year. … Former Sea Dogs outfielder Danny Mars, who was cut at the end of spring training, signed with the Colorado Rockies. If assigned to Double-A, he will be with Hartford. 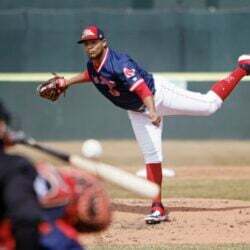 … Former Sea Dogs utility player Tzu-Wei Lin was called up to the Red Sox to replace Bock Holt, who went on the injured list. … In Triple-A, Tim Tebow doubled in one run and singled in another as Syracuse beat Pawtucket, 6-3. 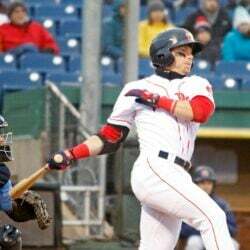 Tony Renda, a former Sea Dogs infielder, homered for Pawtucket.